Is Red Rocks Amphitheatre Finally Getting a Roof? News is out this week that Red Rocks Amphitheatre is finally getting a roof this month to shelter concert goers from the Colorado elements. Don't fall for it. This is Colorado fake news at it's finest. The report is completely false, which makes sense considering the fact the story was posted on April Fool's Day by a Denver radio station. The report sounds official, saying that funding for the controversial project was approved in December to the tune of $7.3 million, and would be completed April 31, 2018. That date was clue number one that something was awry. Those that did not read the story closely perhaps missed the part about a majority of the seats having a "limited-to-no-view of the stage." Another clue to the facetiousness of the story was a reference to Denver's famous restaurant Casa Bonita, saying the entry and concession area will be covered in a similar design as Black Bart's Cave. For a brief moment in time, Colorado concert goes may have had their hearts beating out of their chest when they heard this amazing Colorado landmark was getting a major makeover. 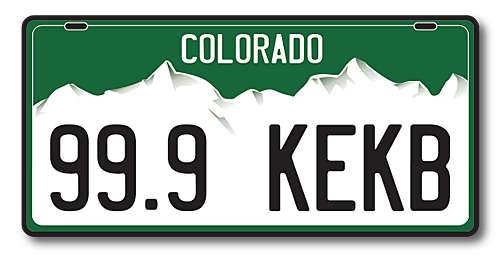 But, now, we can chuckle at the thought, and pay homage to whoever it was that thought it would be a great idea to prank the entire state of Colorado.